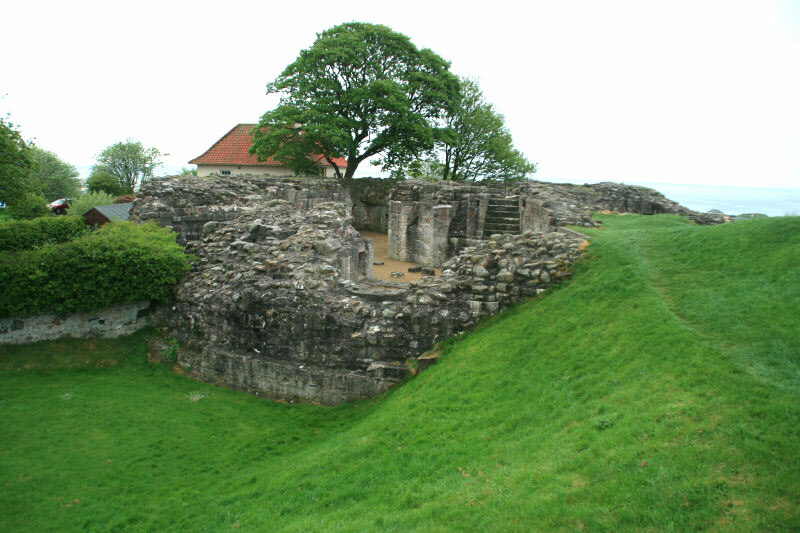 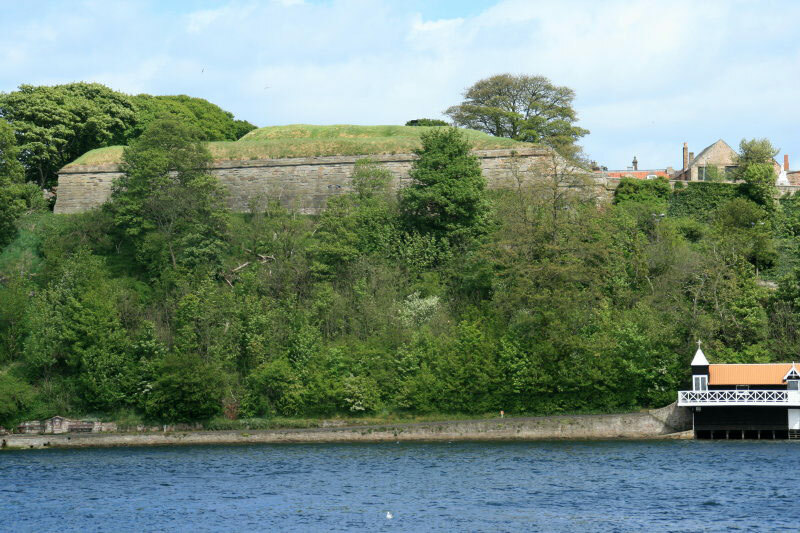 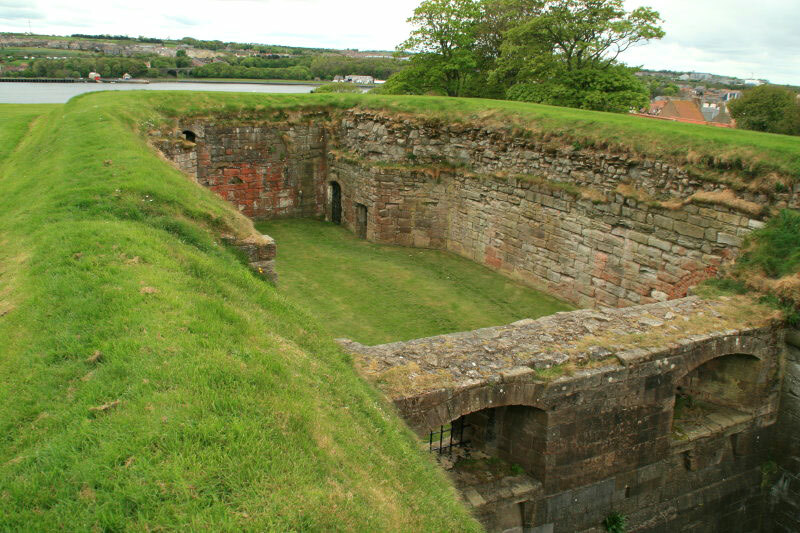 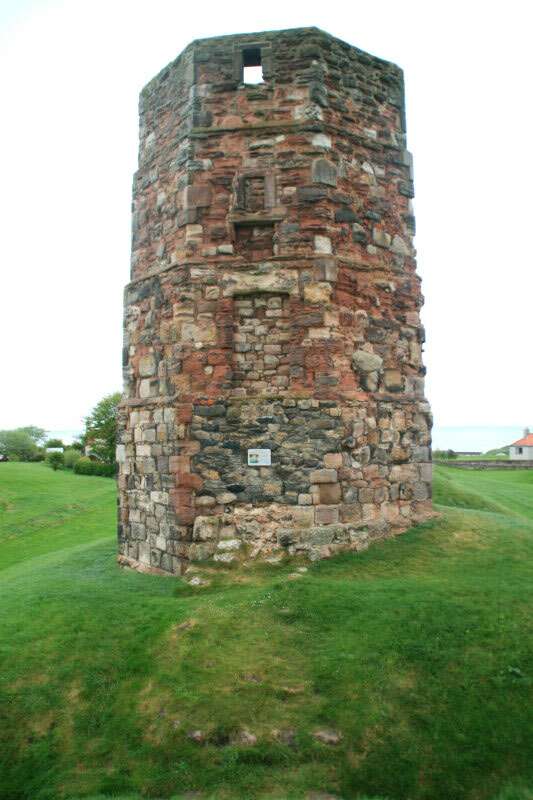 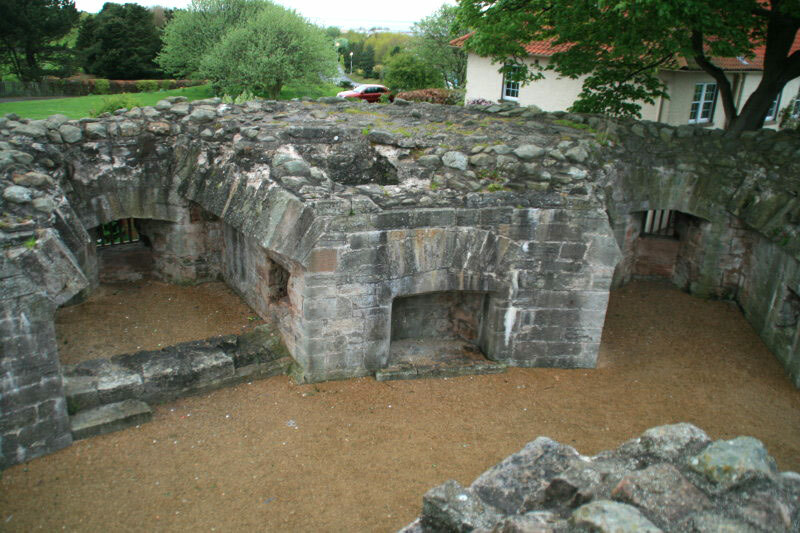 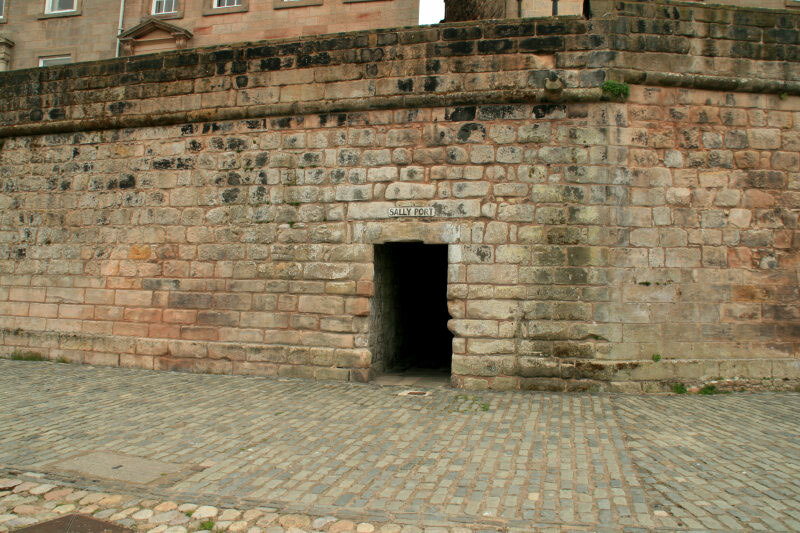 The first fortification here was probably built by the Scots in the 11th century. 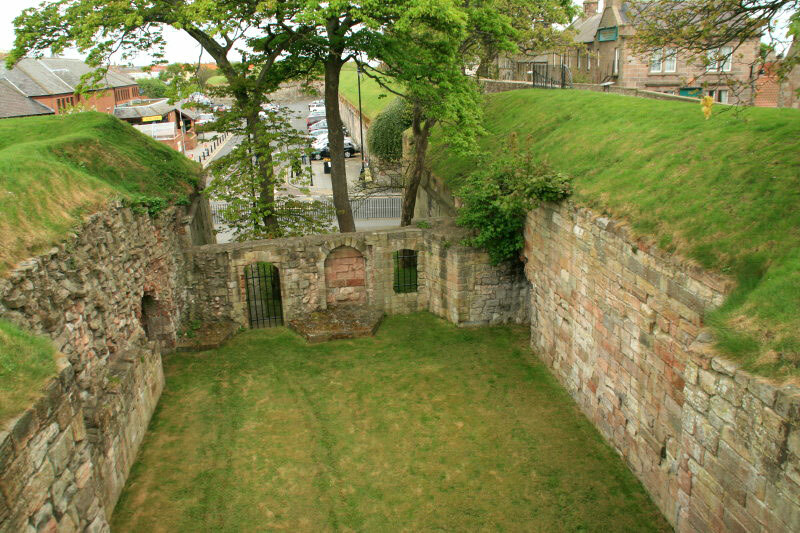 The existing building dates from the middle of the 12th century and it was almost continuously beseiged and captured during the wars between England and Scotland in the 13th and 14th centuries. 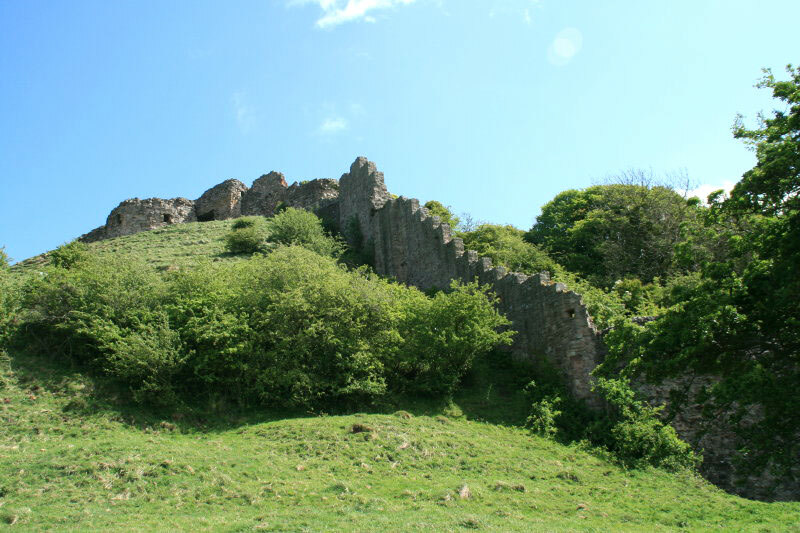 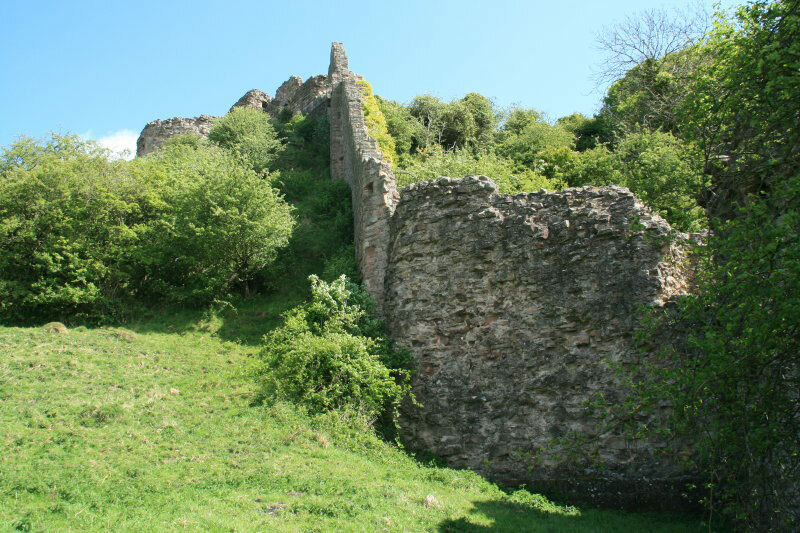 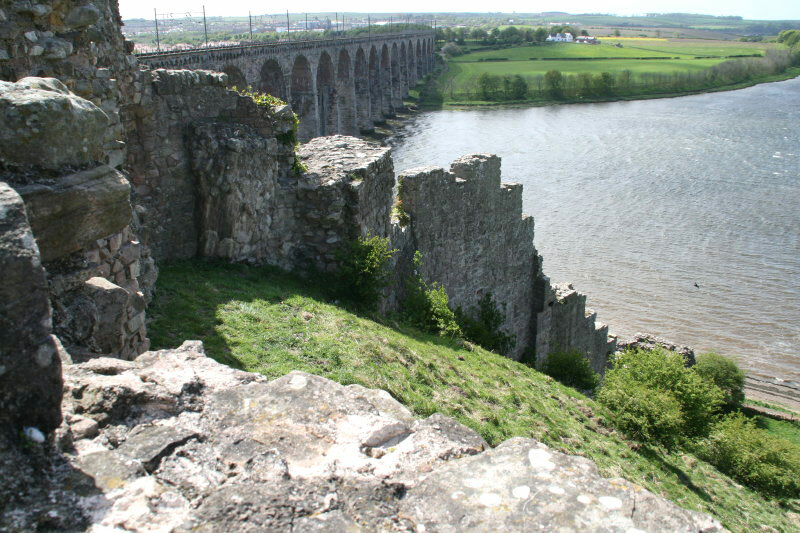 The outer curtain wall was protected by 7 towers and a large keep gatehouse and a spur on the south west side led steeply down to a further tower by the river. 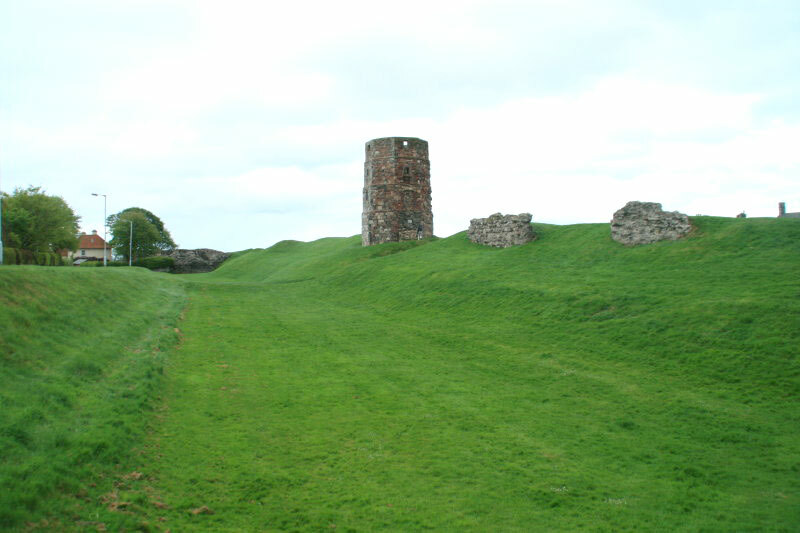 It was kept in repair until the 16th century but then was neglected as new defences to protect the town were built (below). 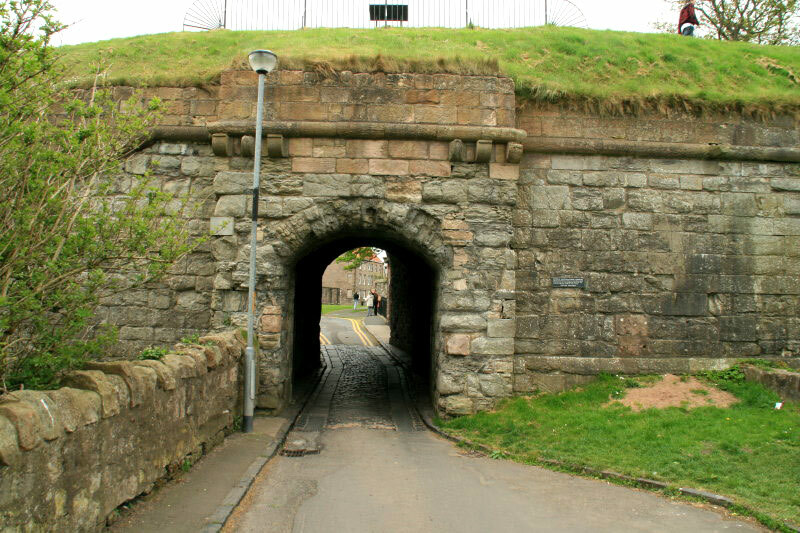 In the 17th century much of the stone was removed and later the whole eastern side was demolished to make way for the railway line. 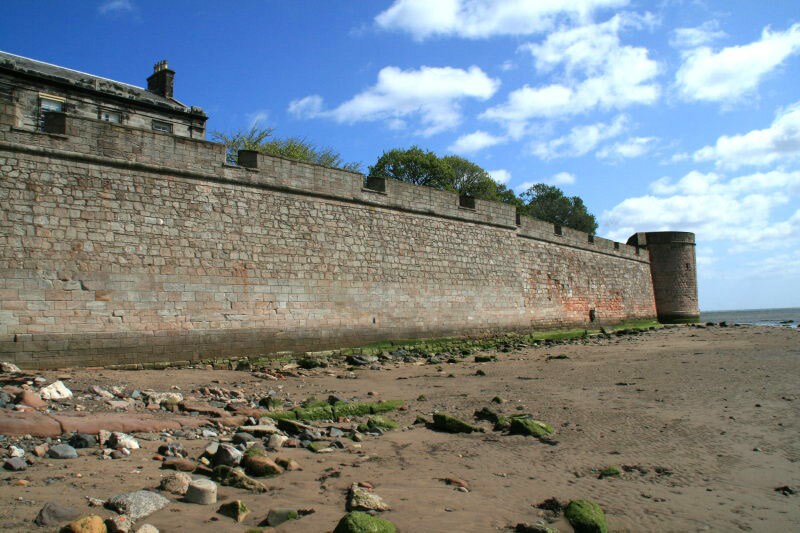 Now only the western wall remains together with the adjoining wall down to the river. 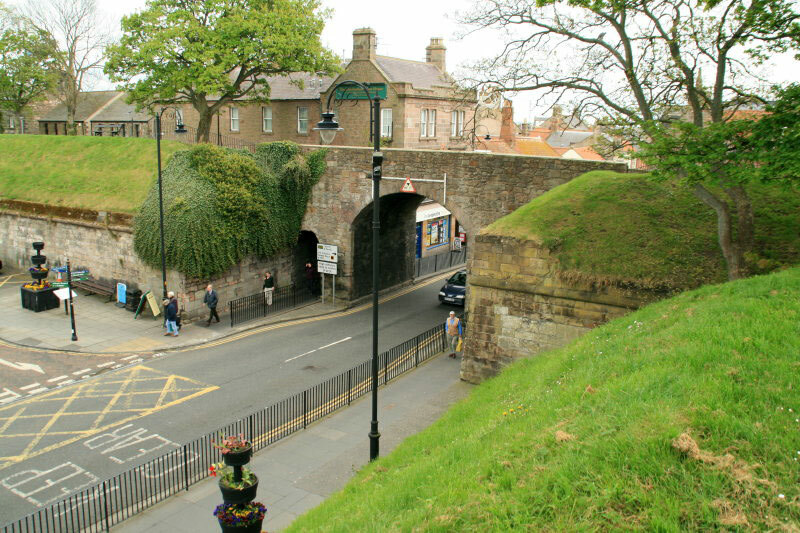 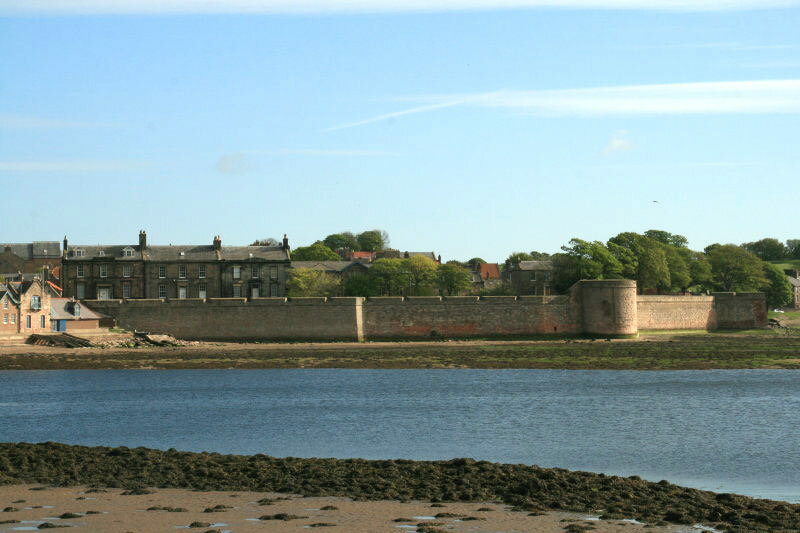 Berwick is probably the most heavily fortified town in the country as it lies on the border between Scotland and England. 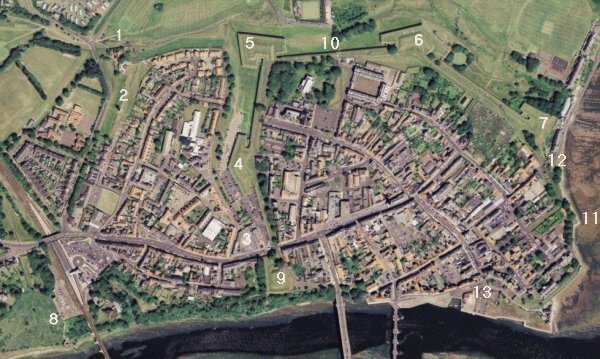 The defences are marked on the map below. 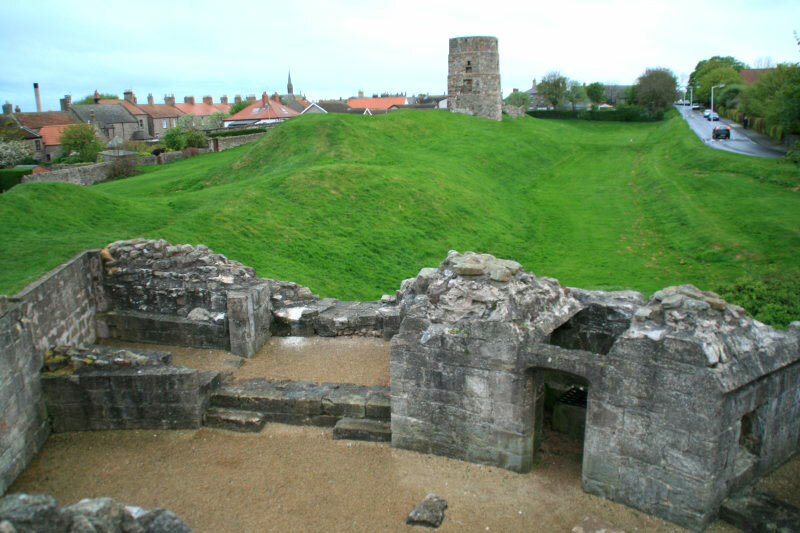 In addition to the castle , the town was protected by earthworks which were rebuilt in stone at the end of the 13th century with 19 towers. 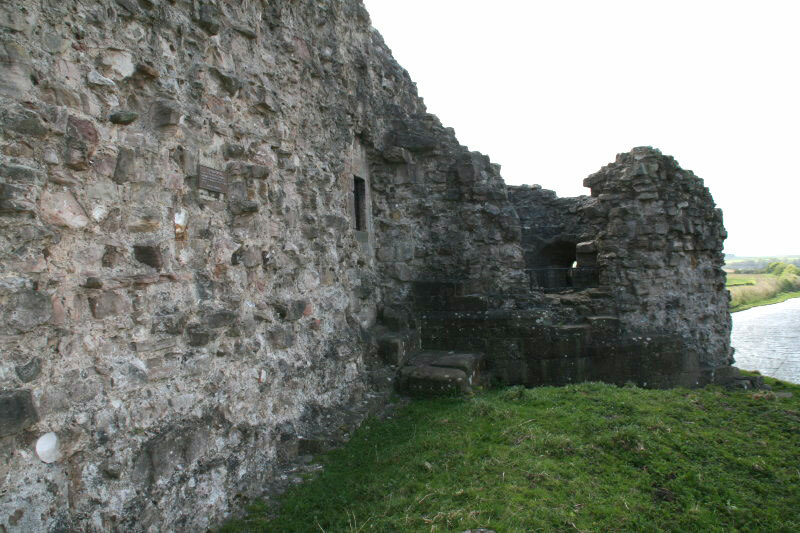 Only the rebuilt Bell Tower  on the north west side remains. 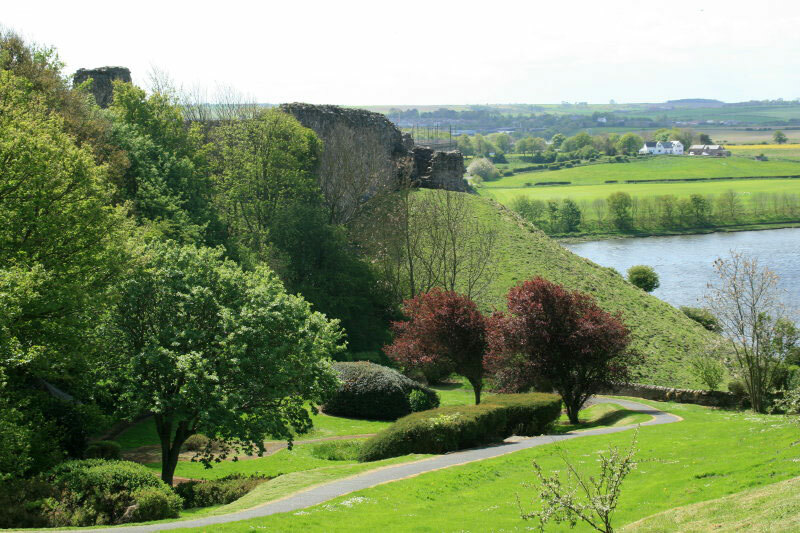 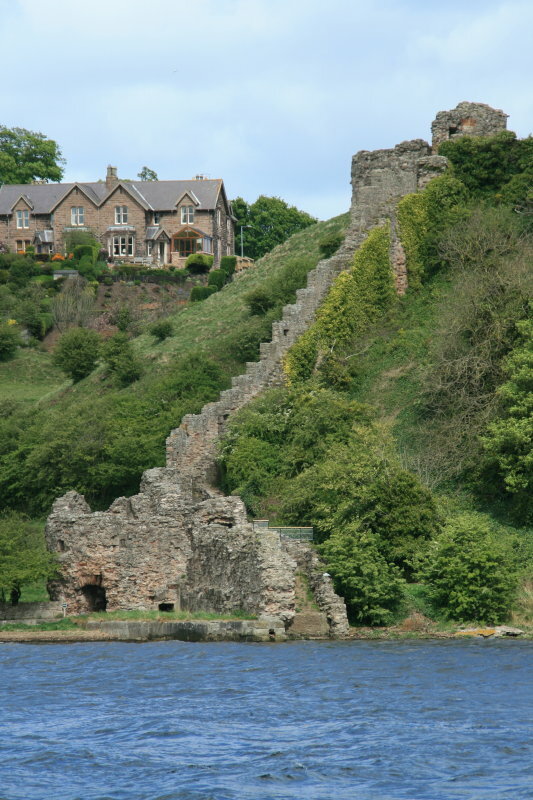 In the first half of the 16th century the defences were completely rebuilt and the castle became redundant. 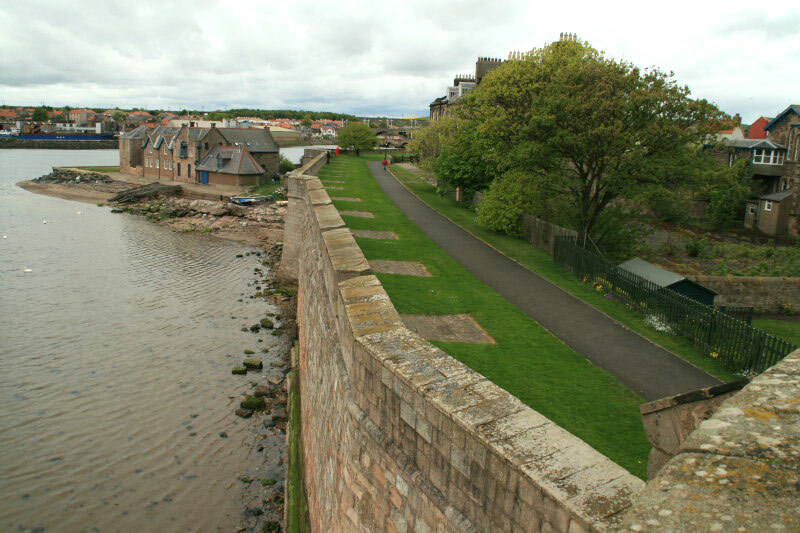 A new town wall with earth ramparts and 5 bastions were built, each sited so that it could protect the neighbouring bastion. 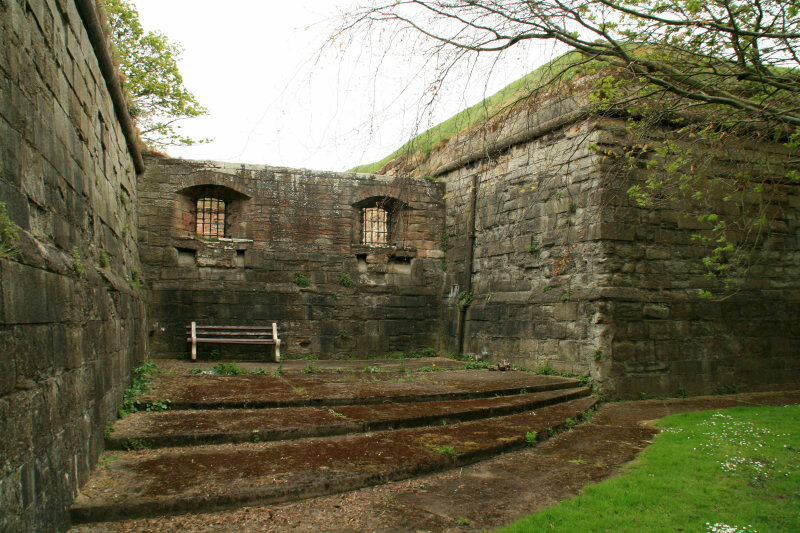 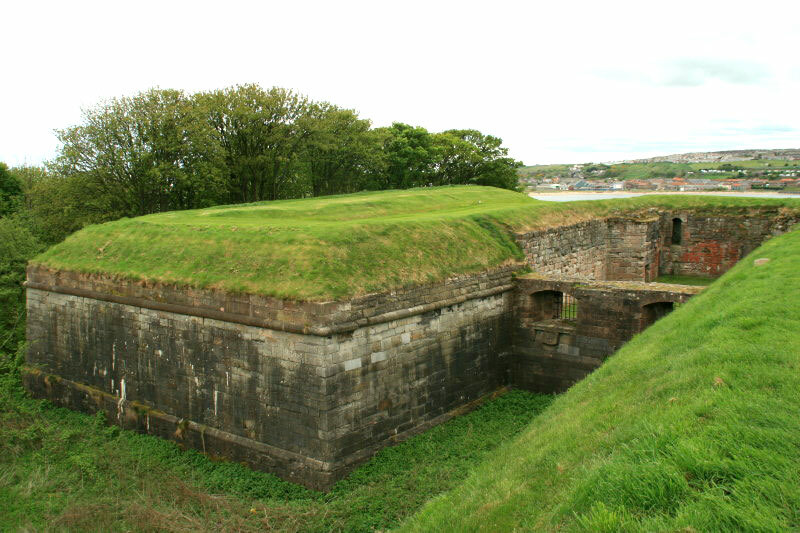 These are Meg's Mount , Cumberland Bastion , Brass Bastion , Windmill Bastion  and King's Mount . 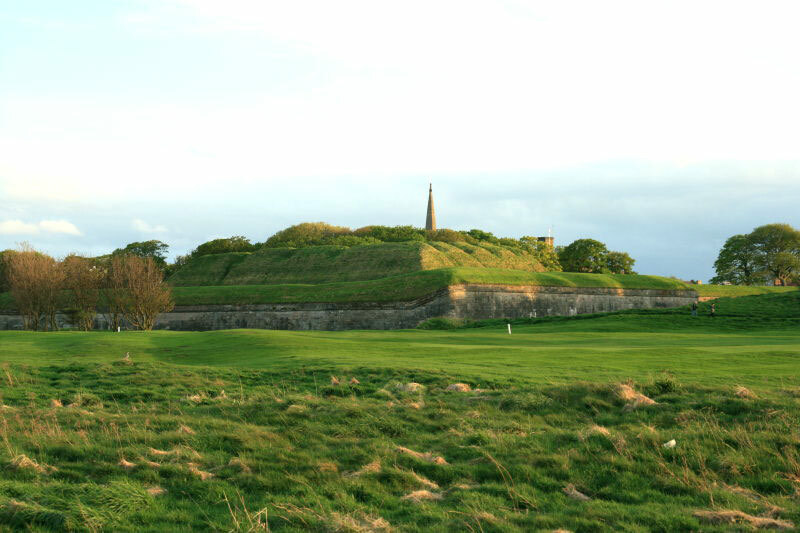 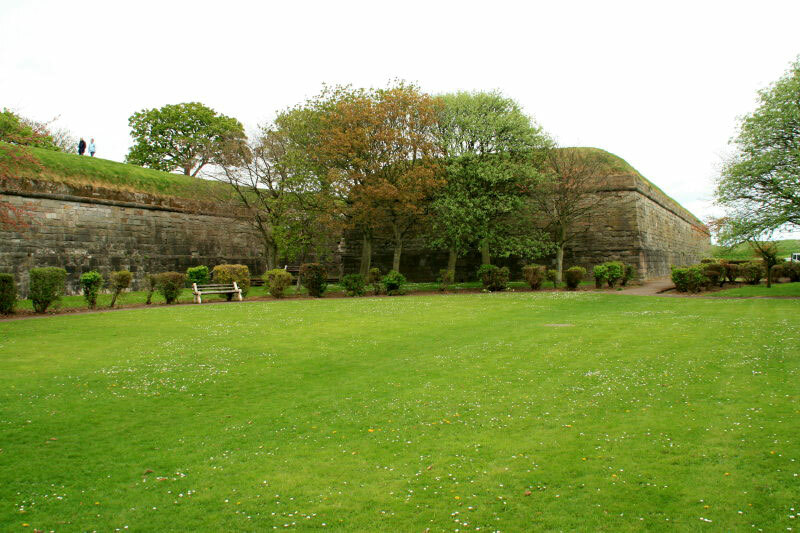 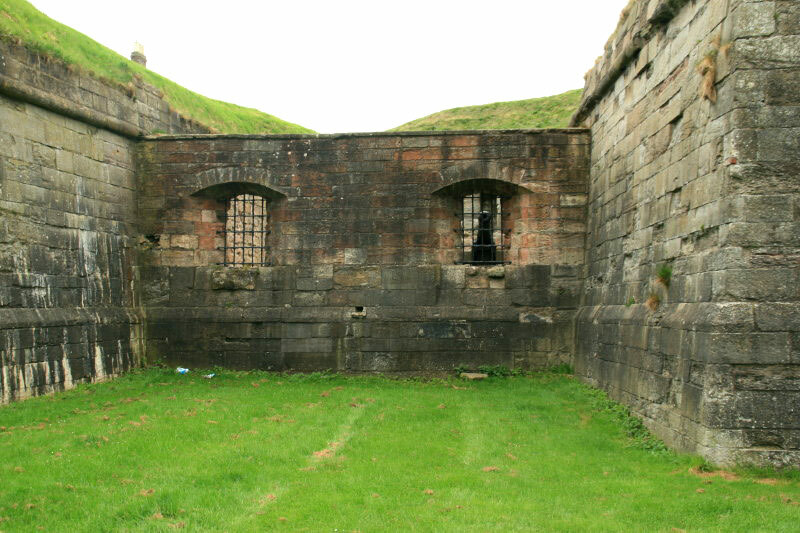 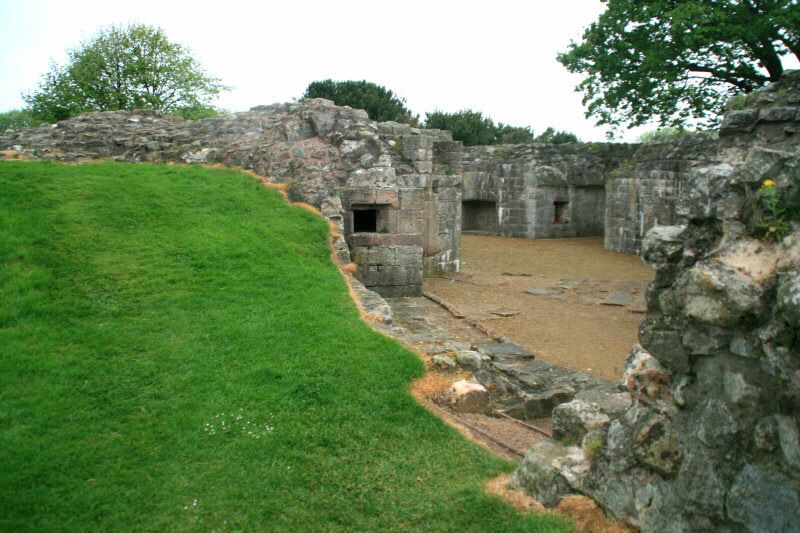 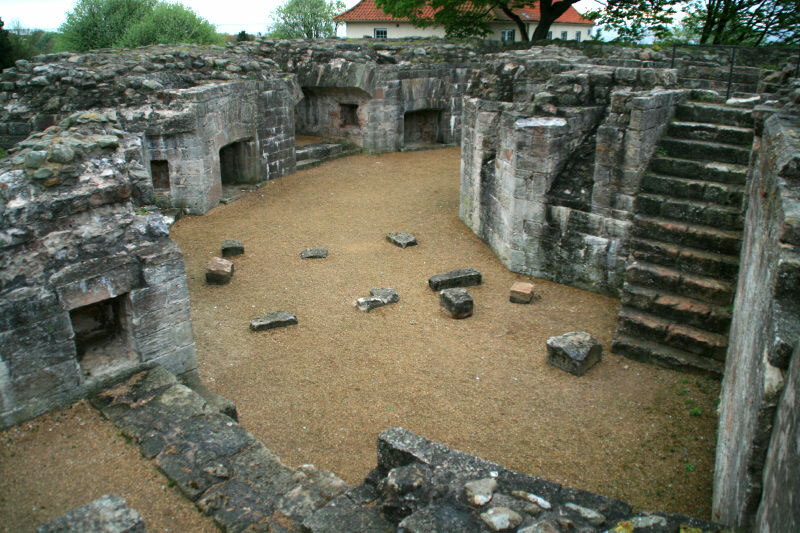 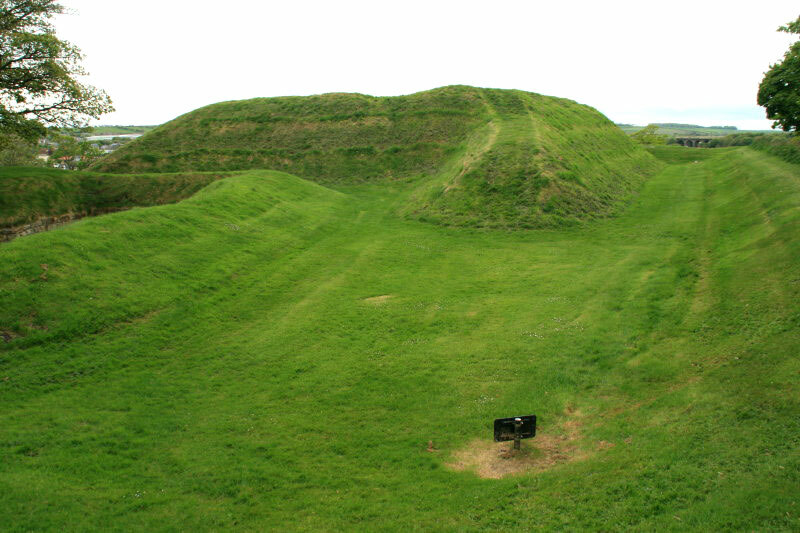 On the north west side a gun battery was added in 1539, Lord's Mount , which was of similar design to the castles built by Henry VIII on the south coast of England although the upper storey is now demolished. 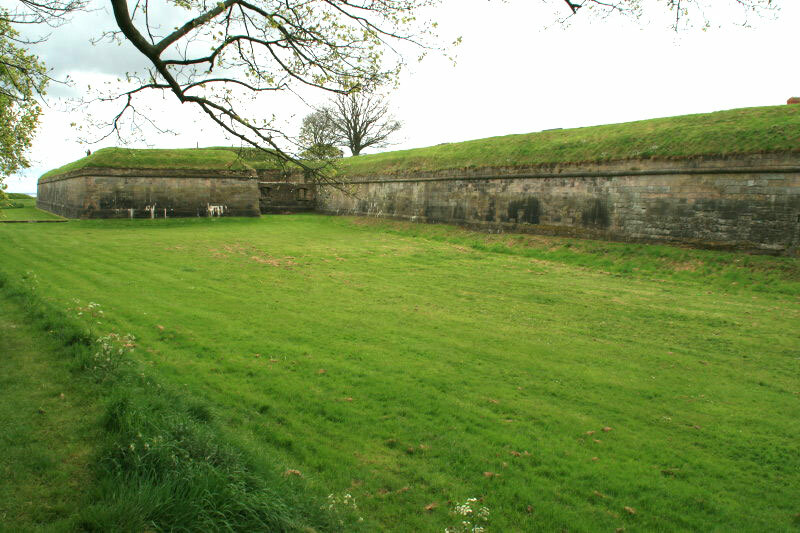 Fisher's Fort  overlooked the river at the southern edge of the town. 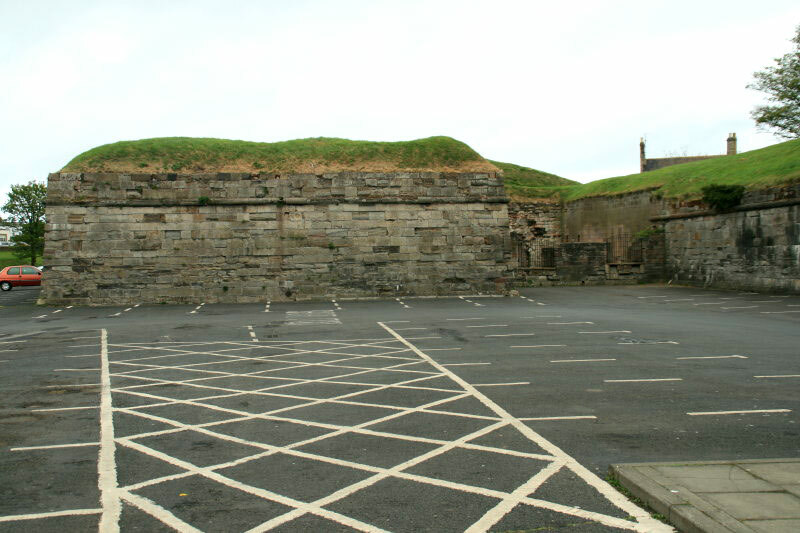 Scroll down for photos of the five bastions. 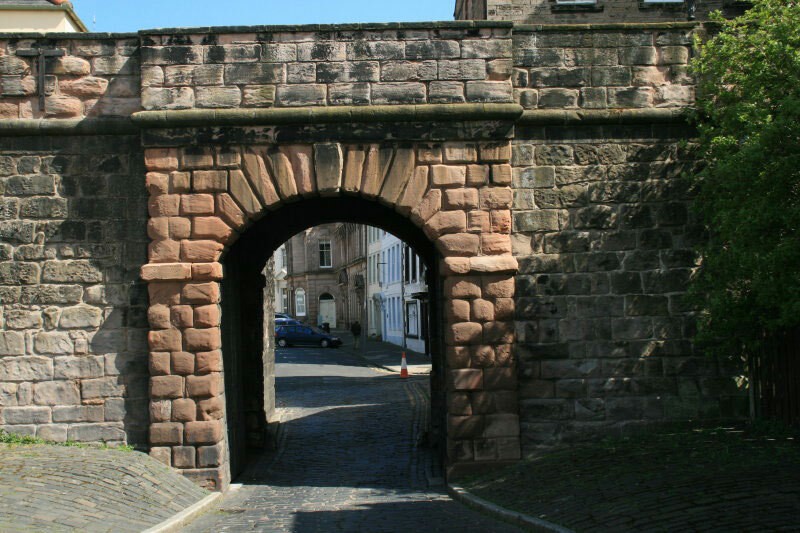 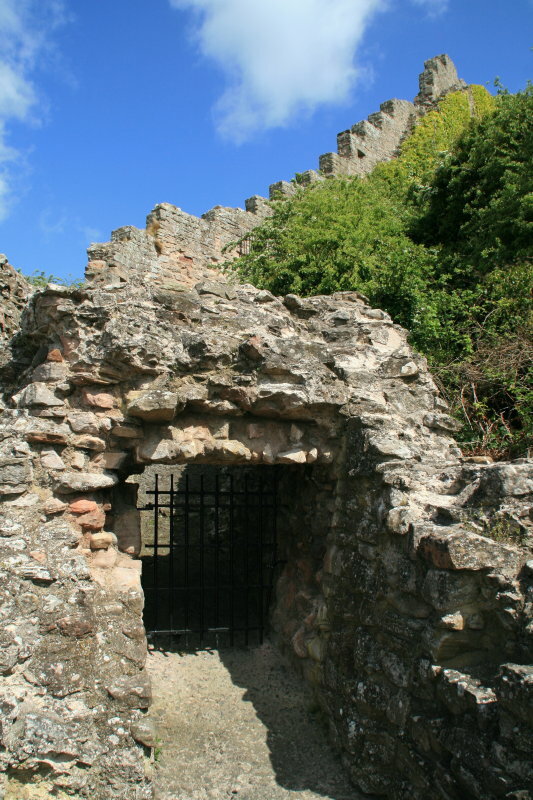 Many of the town gates still remain including Scotsgate , Cowport Gate , Ness Gate  and Sandgate . 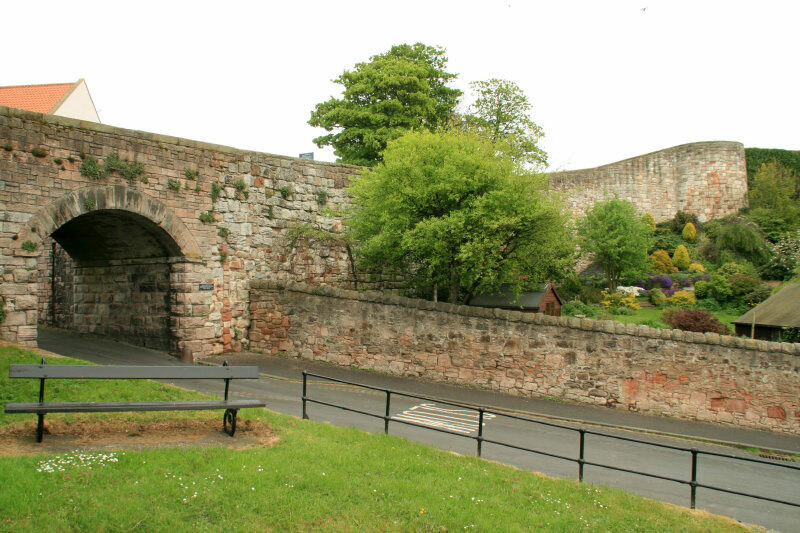 Scroll down for photos of the town gates and the remains of the old town wall.